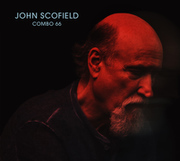 Since 1978, John Scofield, now 64, has released a dizzying 40-plus albums under his own name, spanning the gamut from all-star acoustic jazz albums to fusion blowouts to groovy, New Orleans-themed concept discs to the jammiest of jam-band outings. 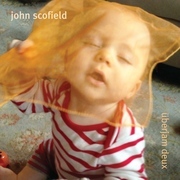 Over the last dozen years, the one constant - apart from Scofield's signature steely sound and mastery of ear-catching improvisation - has been that the new Sco disc would be different from the one just before it. 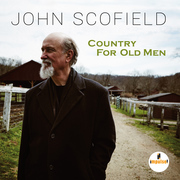 That goes for Scofield's Past Present, which was released last fall. It's a reunion album of sorts, involving saxophonist Joe Lovano and drummer Bill Stewart, with whom Scofield famously played and recorded in the early 1990s, plus bassist Larry Grenadier. 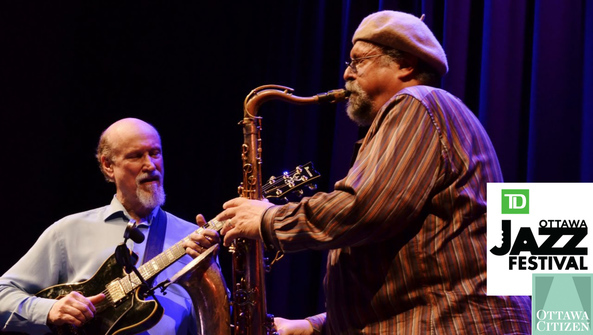 The group, billed as the John Scofield/Joe Lovano Quartet, plays the National Arts Centre on June 25, presented by the TD Ottawa International Jazz Festival, but with Ben Street on bass. 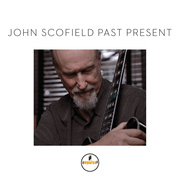 Past Present consists of nine Scofield compositions that check in with his favourite musical themes, with swinging and bluesiness at the top of the list. The title track is a rugged, bopping blues that features Scofield and Lovano conversing in their shared musical language can before there are solos proper. After its twangy hoedown theme, Chap Dance allows the quartet to rip into rhythm changes.